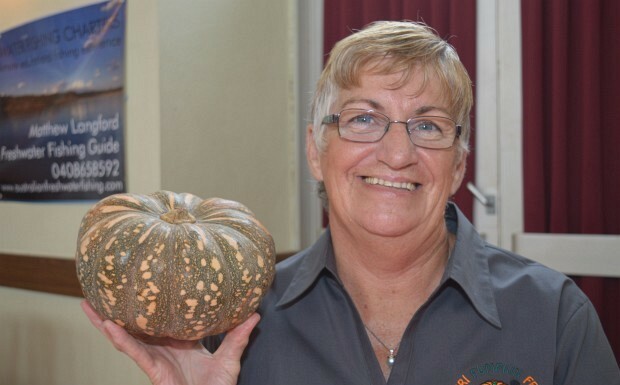 Goomeri Pumpkin Festival took out the Community Event of the Year award at the Gympie Regional Council Australia Day Awards on Saturday morning. The Pumpkin Festival began in 1997 to raise local morale in Goomeri during the drought but now attracts about 14,000 people every year from all over the world. Woolooga resident Kayleen Moss was named Gympie Regional Council’s 2019 Australia Day Citizen of the Year, overcoming a strong field which included Goomeri Pumpkin Festival coordinator Kim Boyter. Mrs Moss was presented with her award at the Gympie Civic Centre by Gympie mayor Mick Curran. Kayleen is a familiar sight behind-the-scenes at events in Woolooga, Kilkivan and Goomeri and was heavily involved in the relief effort after last year’s devastating Woolooga bushfires. She also manages the Woolooga Hall and helps with catering for the Kilkivan Great Horse Ride. Adam Whitehouse and Graeme Spillman also received 2019 Police Commissioner’s Certificate of Appreciation for their courage in risking their lives in a bid to save two drowning boys at Tin Can Bay in February 2017.